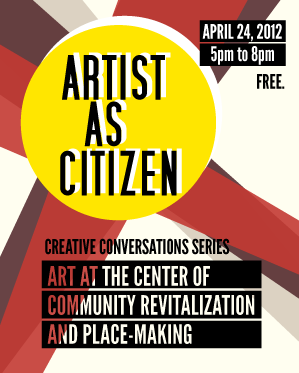 * To what degree have artists become agents of community revitalization and place-making? * How are cluster initiatives in the development of city spaces facilitating the role of artistic citizenship and providing opportunities for partnership with the public? 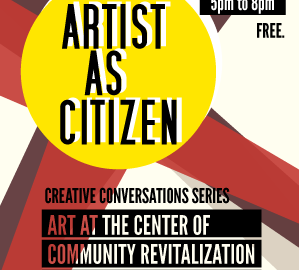 * In what ways are cities, curators, and organizations utilizing elements of the New Deal/ WPA legacy to create a new model for artists as citizens?